We’re proud to announce that the iconic headland at Punta de Lobos has been preserved forever. Known as the Mirador, the threatened property at the tip of the point has now been purchased and transferred to the locally-based Fundación Punta de Lobos. With an ongoing vision for the future, the Fundación is still in need of support. Donate to Help Protect Punta de Lobos—Por Siempre! 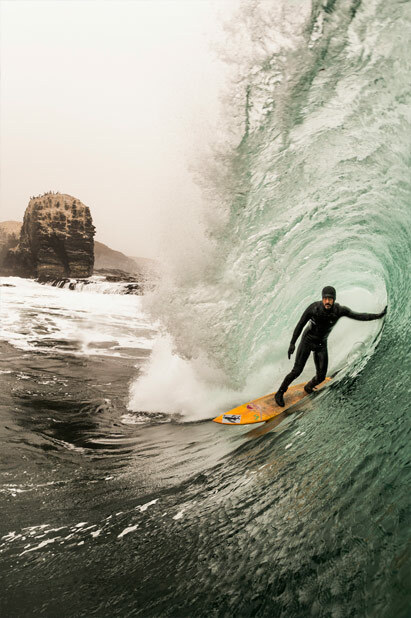 Punta de Lobos, one of the world’s best left points, is home to Patagonia surf ambassador Ramón Navarro. Local community members, with leadership from Ramón and support from our partners at Save The Waves, have been working tirelessly to protect the point’s waves, heritage and environment from unchecked and unsustainable development. 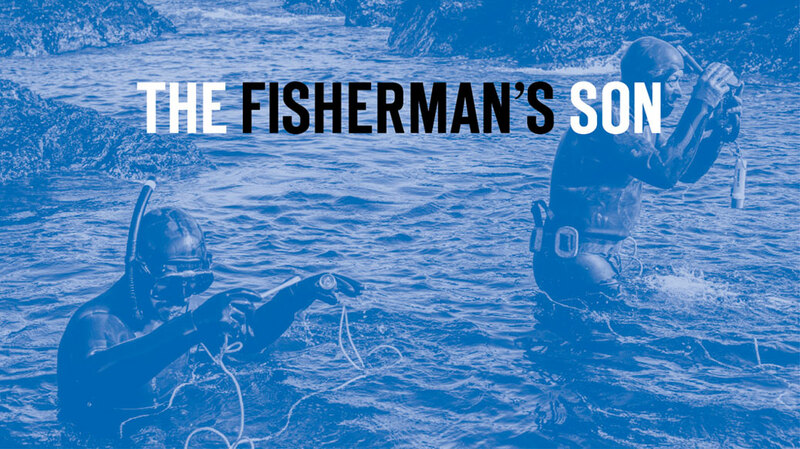 Preserving the way of life of multi-generational fishing families like the Navarros goes hand-in-hand with safeguarding the rich marine and terrestrial biodiversity of Chile’s coast. We support Ramón, local citizens, and Save The Waves in their vision to protect Punta de Lobos forever—Por Siempre! 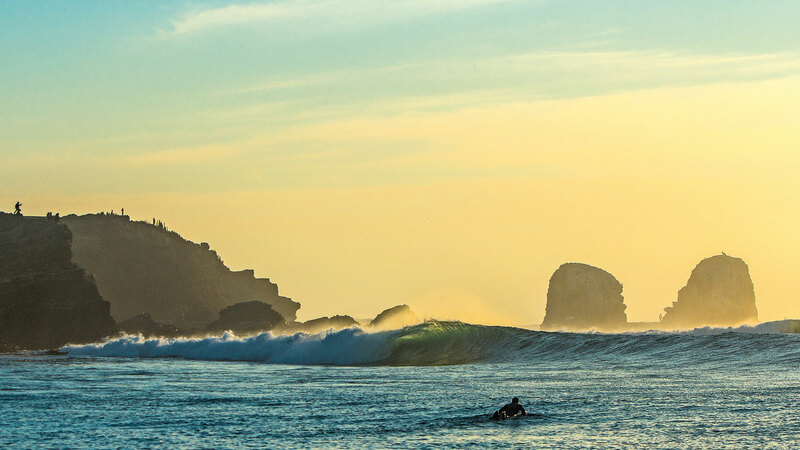 Crowdsourced funds go directly to development of the World Surfing Reserve at Punta de Lobos, protection of the area’s traditional fishing culture and marine biodiversity, and creation of a local foundation to protect this iconic point. Save The Waves Coalition is a global nonprofit organization dedicated to preserving and protecting the coastal environment, through a unique combination of protected areas, economics, and direct action focused on the surf zone. What do you do if private investors want to build large-scale commercial projects along the coastline you call home? If you're Ramón Navarro, you team up with Save The Waves and get the site approved as a World Surfing Reserve—and then together you work like hell to protect the place forever. A few years ago, in response to threats of development at Punta de Lobos, a passionate group of local surfers, environmentalists, government officials and business leaders in Pichilemu banded together behind Navarro's leadership. They committed themselves to protect Lobos' iconic left-hand point break, along with its marine environment and traditional fishing heritage. Their first action was to submit an application to Save The Waves Coalition in September 2013. Save The Waves Coalition, a California-based nonprofit organization committed to preserving and protecting the coastal environment, oversees the World Surfing Reserve (WSR) program. With dozens of applications every year, the WSR program is highly selective and only a few choice breaks around the world have qualified for the designation. Six of them, to be exact: Malibu, California; Manly Beach, Australia; Ericiera, Portugal; Santa Cruz, California; Huanchaco, Peru; and Bahía de Todos Santos, Baja, Mexico. An international panel of respected surfers, scientists, and environmentalists, known as the Vision Council, evaluates new WSR applications, reviewing them against four criteria: (1) quality and consistency of the wave, (2) environmental characteristics of the area, (3) local surf culture and history, and (4) local community support. Despite the highly selective nature of the program, it's no surprise that Punta de Lobos was approved to become the newest World Surfing Reserve. Frequented by the world's elite big-wave surfers, the famous break works from three to thirty feet. Chile's surfing history can be traced here, with Lobos being one of the first waves to be surfed consistently by visiting and local surfers alike. It's also one of the most unique coastal landscapes in Chile, with the iconic Morros and beautiful headlands gracing the point. A migratory stopping point for gray whales, the immediate area supports a rich coastal and marine ecosystem that includes plentiful fish, crustaceans, and endemic cactus and bird species. Presently, the entire point is under private ownership. The current zoning regulations allow for new construction, and at least one large-scale condominium project has been proposed. If these plans are left unchecked, Punta de Lobos could be transformed beyond recognition—with multigenerational subsistence fishermen being replaced by private access developments and construction crews. Save The Waves and the local WSR committee have been effective in laying out a concrete plan to stem the tide of development along the fabled point. The long-term vision is to protect the coastline of Punta de Lobos, its marine resources and the local fishermen who call it home, making it a permanent public space for all to enjoy. The effort will accomplish these goals by creating a foundation to conserve the land, a set of marine protected areas to preserve the marine resources and traditional fishing rights, and maintaining ongoing stewardship of the point. When I was growing up I wanted to help my dad, and be exactly like him: a fisherman. Then a couple of guys blew into town with surfboards and wetsuits and I said, "Wow, this is amazing," and then I wanted to learn to surf more than anything in the world. Chile is an amazing country. 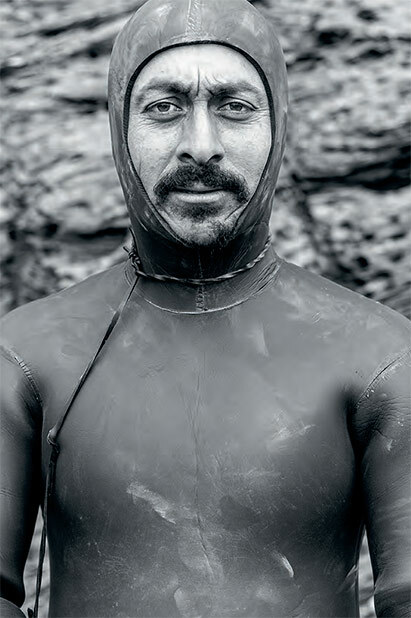 I couldn't be more proud to come from Chile and from Punta de Lobos, to be the son of my dad, a fisherman and diver. I know I have a responsibility to honor the generations before me by protecting the coast. I have to. It's up to us to make sure there are traditional fishermen (and fish) in the future. It's our responsibility to ensure our children and their children can see beautiful landscapes and biodiversity. I was born on Punta de Lobos and I love Punta de Lobos. I'll fight to protect it, and all of Chile's coast—but it has nothing to do with what I want. It is for the future. I know I can't accomplish much on my own. I think everyone sees the right thing to do: Stand up to save some of these special places before they are gone.